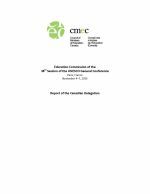 This report is in response to the request from UNESCO that its Member States complete a questionnaire on the application of the Recommendation concerning Education for International Understanding, Cooperation and Peace and Education relating to Human Rights and Fundamental Freedoms (1974 Recommendation). The aim of UNESCO's 1974 Recommendation is to promote world peace through international understanding, solidarity, and cooperation, and it is applicable to formal, non-formal, and informal education at all levels, from pre-primary to higher education, adult education, and lifelong learning. Canada's response was developed by CMEC in collaboration with the Canadian Commission for UNESCO (CCU). 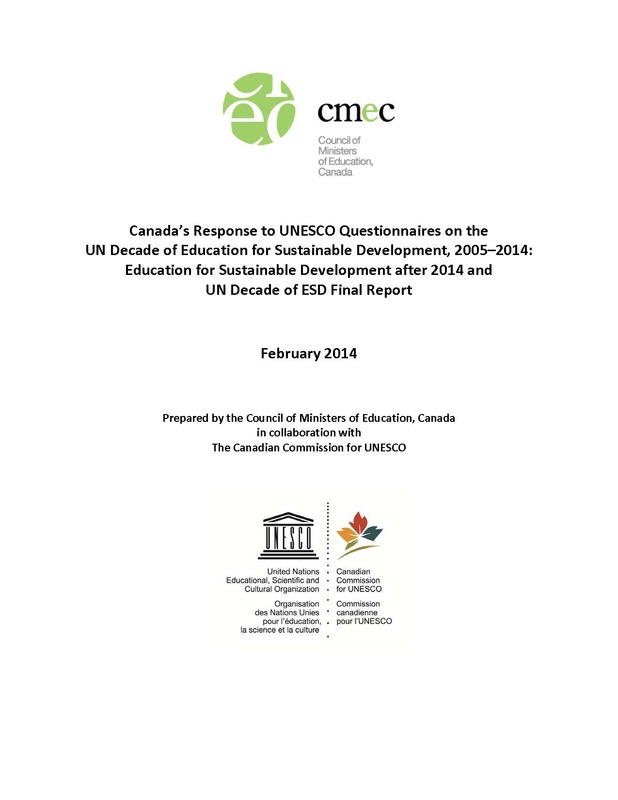 This report contains the main outcomes of the UNESCO World Conference on Education for Sustainable Development 2014, along with interventions by the Canadian delegation at the Education Commission. At the conference, participants reviewed the past decade and discussed the post-2015 development agenda. The conference closed with the adoption of the Aichi-Nagoya Declaration, which calls on all nations to implement the Global Action Programme on ESD (GAP) to move the ESD agenda forward.